• Green chilly (chopped) - 4 numbers. • Whole garam masala - 1 tablespoon. • Bay leaf - 3 numbers. • Dry coconut - 1/4 cup. • Cashew nuts - 6 numbers. • Mutton stock - 2 cups. Cook mutton first in a slow flame till tender, and keep it aside with the liquid stock. Heat a pan and add peanuts, sesame seeds, cashew nuts, dry coconut, roast them and make apaste and keep aside. Heat oil in a pan add bay leaf, whole garam masala, finely chopped onions, salt, let this cook onion are lightly golden in color. Add chopped green chilly, chopped coriander leaves, chopped mint leaves, cook this, greens are dried out and add ginger garlic paste, coriander powder, jeera powder, saute it. Now add paste of coconut, peanutand sesame seeds, cook this till masala is nicely cooked, and add mutton stock, curd and bring to boil and cook it for at least 30 minutes. Then add boiled mutton, cook it for 5 minutes in a slow flame, and after 5 minutes switch off the flame. This is a very popular Mutton dish cooked in a true Hyderabadi style. It is cooked in a rich and creamy based gravy. This delicious mutton curry can be relished either with jeera rice. Mutton Masala cooked in Hyderabadi style is extremely a mouth-watering and spicy dish; boiled lamb/ mutton pieces cook... Read More..
Mutton Masala cooked in Hyderabadi style is extremely a mouth-watering and spicy dish; boiled lamb/ mutton pieces cooked in a spicy thick sauce made from a medley of roasted peanuts, sesame seeds, dried coconut, cashew nuts and curd paste. Cashew nuts mellow down the intensity of sesame seeds and groundnut flavours and balance it equally. This incredibly flavoured and aromatic dish goes well with any type of roti, naan, chapatti or fried rice. It makes you feel like you had a wholesome hearty meal raging out with delightful taste. Hyderabadi cuisine is also popularly known as Deccani cuisine of India. This style of cuisine has become a princely legacy of the Nizams of Hyderabad state and is an amalgamation of Mughlai, Turkish and Arabic along with influences from the native Telugu and Marathwada cuisines. This cuisine comprises a broad repertoire of rice, wheat, meat dishes and the skilled use of various spices, herbs and natural edibles. Hyderabadi cuisine emphasises largely on the use of ingredients which are carefully chosen and cooked to the right time and degree. A lot of attention is given in picking the right kind of spices, meat, rice etc. Certain additional fresh herbs, spices, condiments or combination of all these add a distinct taste and aroma to any dish. Key flavours from the Hyderabadi cuisine consists of coconut, tamarind, peanuts and sesame seeds which are extensively used in making most gravy based curries. The key difference from the North Indian Cuisine to this cuisine is the use of dry coconut and tamarind. Undoubtedly, most Hyderabadis are compulsive meat eaters. In spite of being compulsive meat eaters, the influence of South Indian foods like dosas, idli, vada, upma etc cannot be discounted because of the influx of several vegetarians who live in Andhra Pradesh. Meat is cooked in different forms of curries that include Korma, pasindas, shorva, pathar ka gosht. Hyderabadis are finicky in selecting the proper cuts of meat for specific dishes especially in Biryani and pasinda. Meat grounded into keema also takes its creative form in kebabs, koftas that are included for making standard breakfast. Usually these are eaten with different kinds of Indian flatbreads such as naan, paratha or phulka. Use of simple ingredients makes the food tantalizing and delicious. Most of the dishes are given wonderful bagaar or tadka consisting of dried chillies, cumin seeds, mustard seeds, shah zeera, til etc that gives a punch to the dish. These ingredients are a combination from all corners of India, and the Arab and Turkish acquisition is seen in the use of seeds like shab zeera, khas khas, and magaz and kabab chini. One of the talents is to extract the subtle flavors from the spices when used with the standard ginger and garlic. Enriched with a paste of coconut-sesame seeds, groundnuts and cashew nuts, flavoured with aromatic spices, the meat is slow cooked in yogurt till falling apart tender. The mildly spiced, creamy textured Mutton masala has warm comforting flavours and makes a great side with biryani, pulao and rotis. On Formal occasions, you can also garnish the food with warq (a very fine, pure silver leaf created by prolonged hammering and flattening of a small piece of silver). Cook mutton pieces in a slow flame until tender and keep aside with its liquid stock. Heat a pan and dry roast peanuts, sesame seeds, cashew nuts, dry coconut and blend to a smooth paste. Heat oil in another pan and add bay leaves, whole garam masala, finely chopped onions, salt and sauté till the onions are lightly golden in colour. Add green chillies, chopped coriander and mint leaves and cook till the greens turn slightly crisp. Add ginger garlic paste, cumin, coriander powder and sauté, add in ground paste and mix well. Cook the masala nicely. Cook on medium heat for few minutes till masala paste releases oil on sides of pan. Add 1 bowl of mutton stock, curd and cook for 20-25 minutes. Add boiled mutton, cover and cook for another 5 minutes. Cook till done. Transfer into a bowl and serve hot. This dish can be prepared quick and easy with an array of simple Indian spices. The taste and flavour of this delectable mutton recipe depends on the yogurt and the aromatic mix of spices which make this dish simply hard to resist. It is smooth, creamy and delicious with mutton cooked to perfection with yoghurt and spices in true mughlai style. If you look for some delicious, rich mutton recipe then do try this. How long did you cook the meat? Thank you for the recipe. Thanks vahchef...I am so hungry for this mutton masala which looks so delicious!!! I also use sooo many green chillies in my food!! Very very tasty dish thanx. Hi chef, what should I add when I boil the meat. Thank you! 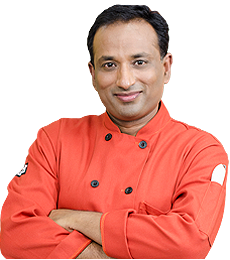 hi sanjay.your recepies are really good and excellent. Thank you Sanjay ji I'm from Hyderabad and I'm very happy to learn this because I didn't know how do I get this greenish color but now I can so thank you sir....! !Allah haafiz :)?